Elite Class - After leading overnight Duncan Archer and Jim Mann won the Elite Class in a time of 11.52.45 (Day 1 = 6.24.28 Day2= 5.28.17). A Class - Also leading overnight were Tim Laney and Steve Watts in the A Class. They also held their lead and took 10.59.07 overall (Day1 = 7.05.28 Day2 = 5.09.43). B Class – On Day 2 Andy Charlton and Brian Wakeley did a similar time to yesterday to finish in 10.22.55 (Day1= 5.13.12 Day2= 5.09.43). C Class - Patrick Wallis and Paul Williams also did a slightly longer time on Day 2 and won in 9.45.52 overall (Day1= 4.46.29 Day2 = 4.59.23). D Class - The tough D Class was not so tough today and Daniel Sutherland and Lachlan MacLeod took only 4.36.50 compared to yesterday’s 6.32.28 with an overall time of 11.09.28. 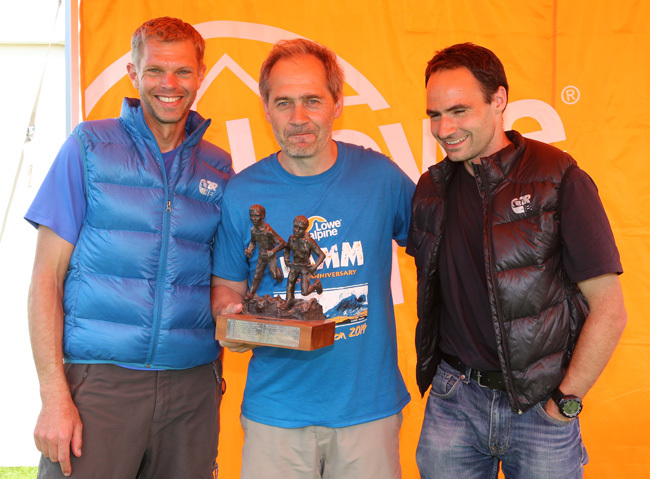 They were 54 mins ahead of Garry Fraser and Russell Henderson. Score Class - Overnight Leaders Kenny Leitch and Keith Masson hung on by the skin of their teeth to win the Score Class with 521 points. Their 11 point lead was cut to a single point by Phil Hodgson and Phil Scarf. Sunday Morning - The leaders set off on the chasing start. More photos from this morning on the photo stream. Elite and A Start at the top of Bealach na Ba with Beinn Bhan (highest of the Applecross mountains, a Corbett at 896m), in the distance - the first checkpoint on the A course. The sun is out and competitors have started arriving at the event centre. The LAMM makes a welcome return visit to Strathcarron at the head of Loch Carron after a gap of 10 years. 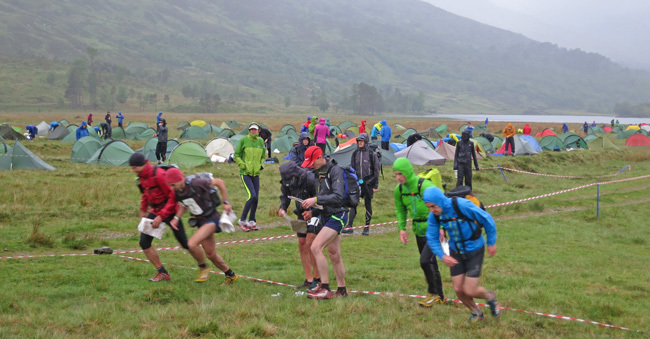 Will the weather be more forgiving on Day 1 when there were wintry conditions on the high ground? The event centre is at New Kelso Farm, IV54 8YR. The arrow on this map shows the Event Centre field. You’ll see yellow LAMM signs turning you off the main road and up the drive. Please drive slowly up the drive and follow marshals directions to park on the fields, which are still firm despite some rain this week. Camping is adjacent to the parking field. Please read and print the Final Details. 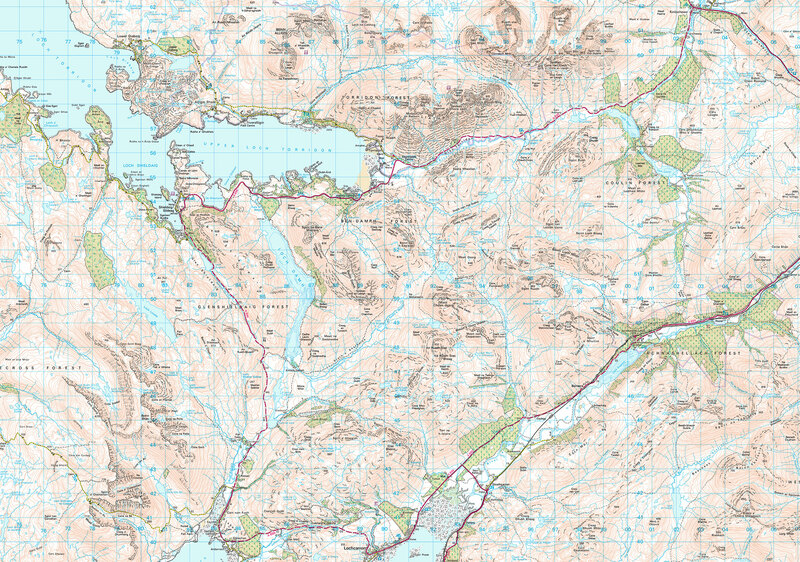 There should be accommodation in Strathcarron, Lochcarron or further afield in Kyle of Lochalsh, Plockton and Achnasheen. On Friday night there may be temporary 30 minute road closures on the A9 at Dalnacardoch, 11 miles north of Blair Atholl. These could take place at 23:00, 01:00, 03:00, 05:00 to install overhead power lines. 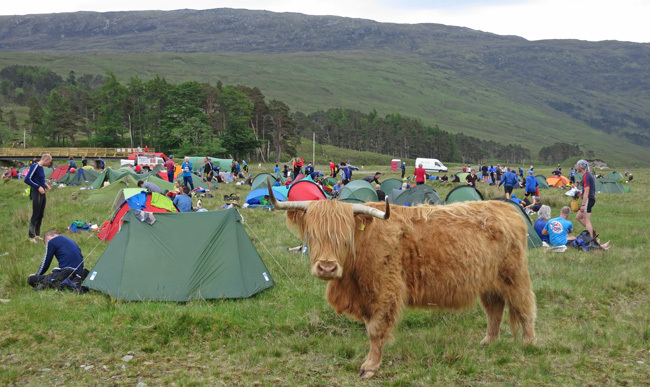 This weekend the MTB World Cup comes to Nevis Range, Fort William. On Friday afternoon/evening the A82 past Loch Lomond is likely to be slow. The A889 from the A9 at Dalwhinnie towards Laggan will also be slower than usual. Sunday could be more of a problem as there are likely to be about 8-10,000 people all trying to leave Nevis Range from 16.15-1830 so we urge you to avoid travelling via Fort William and Loch Lomond. After that it should be fine, but it would be wise to listen to the traffic reports in case of delays/accidents. Those who have booked LAMM Transport should now visit the LAMM Transport page. 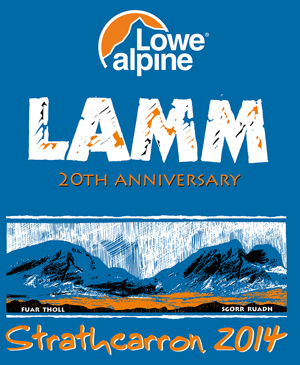 If you are using the LAMM Live Photo Stream it is now time to stop using the Pre Event and CHECK IN to the LAMM Connoisseurs Mountain Marathon Event. Have a safe journey. We look forward to seeing you from 3pm onwards and registration opens at 4pm. 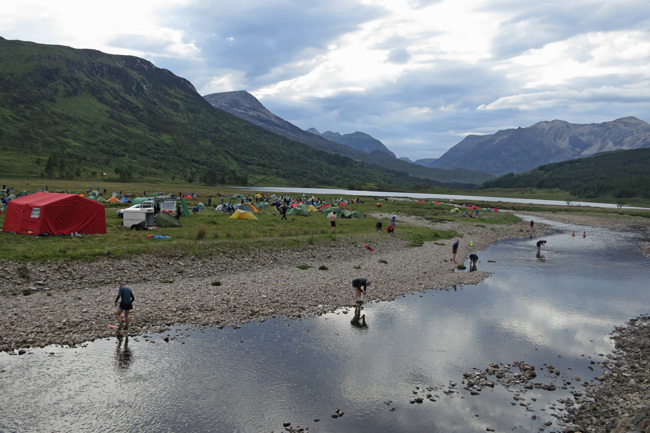 Now you’re packed and ready to go, you’ll be wanting last minute tips and clues as to what you’re about to face (apart from the Scottish weather and the occasional midge!). So how to sum up this area? Not easy, but the wildlife is surprisingly abundant – Springwatch eat your heart out! Among other creatures, it’s full of Deer, Cuckoos, Hare, Deer, Greenshanks, Deer, Golden Plover, Ptarmigan and even some more Deer. As often with an area used for the LAMM and, perhaps, even more than usual this year as we don’t want to change tradition(! 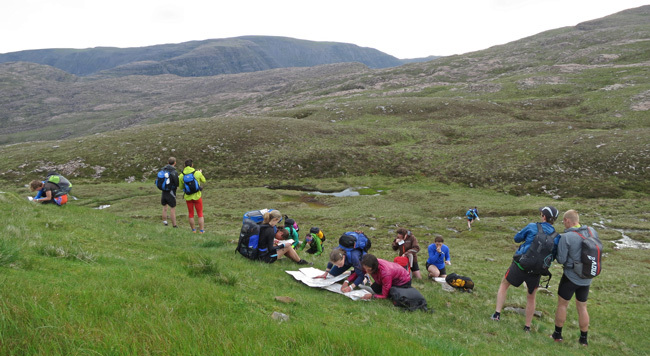 ), it is very mountainous and rough, dominated by lots of rock and covered in lochans. However, don’t try to avoid all the rocky areas as sometimes the rocky areas make for the fastest running. A word of warning, though, many crags are unmarked. As an easier option, a lot of routes give the chance to use some of the extensive network of stalkers’ paths but only you (and your team-mate) can decide if it is worth it. We have recently uploaded the 45 minute film onto VIMEO and for those who want to find out about our magical event on the Isle of Jura or remind themselves of that wonderful weekend in 1997, you can watch the film in 2 parts at: http://vimeo.com/92236923 and http://vimeo.com/92236924.